Tea Is For Turtle: A few more peas. Turtle is of the opinion that peas should be seen and not heard. But peas can be tricky little comrades, hauled up in those pods of theirs, with what Turtle describes as "minds of menace". Definately no menace here though. 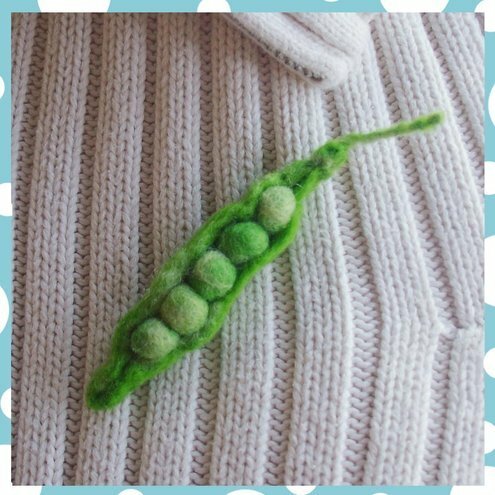 Peapod Brooch from the lovely Woolly Duck.